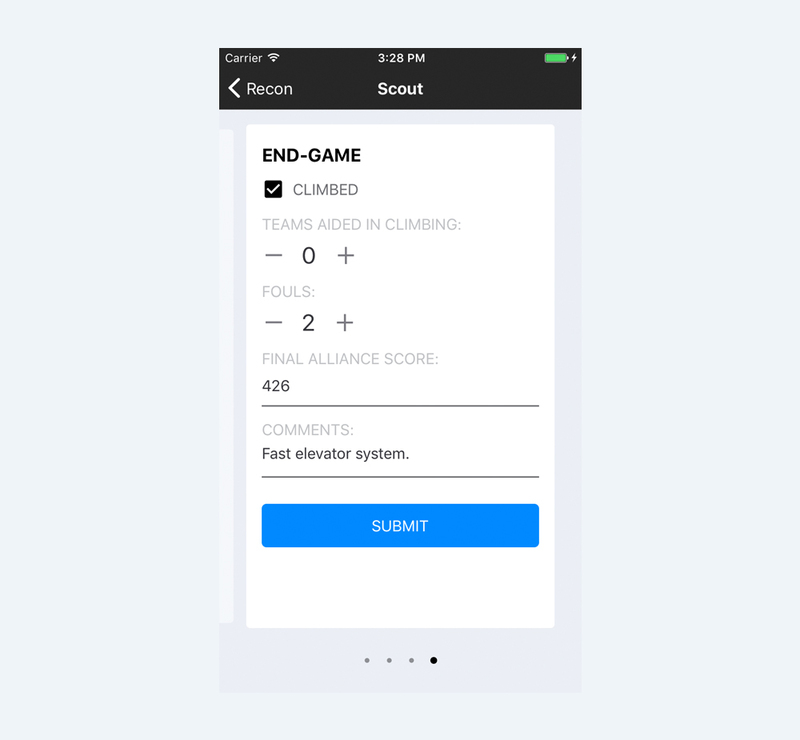 The second iteration of Recon is a scouting app built for the 2018 FRC competition Power Up. The app is powered by React Native, which allows for cross platform deployment onto both iOS and Android devices. 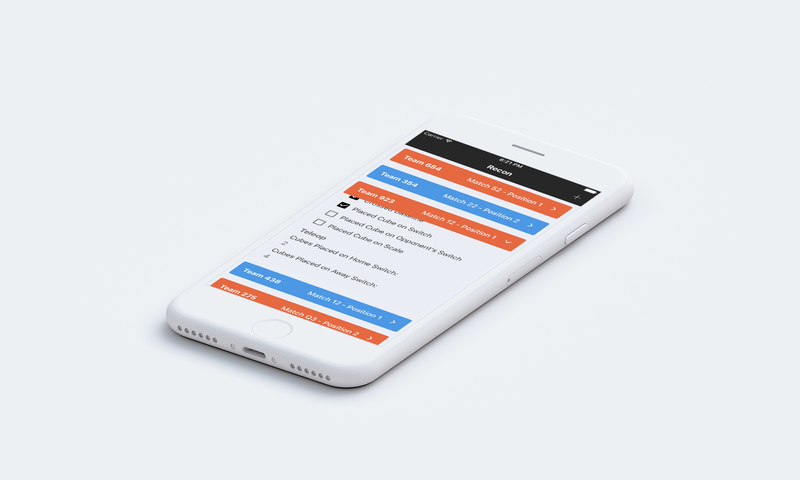 An intuitive UI design allows for team members to easily input and submit their match data. The app also features a list view of all submitted matches, making data available to all team members. 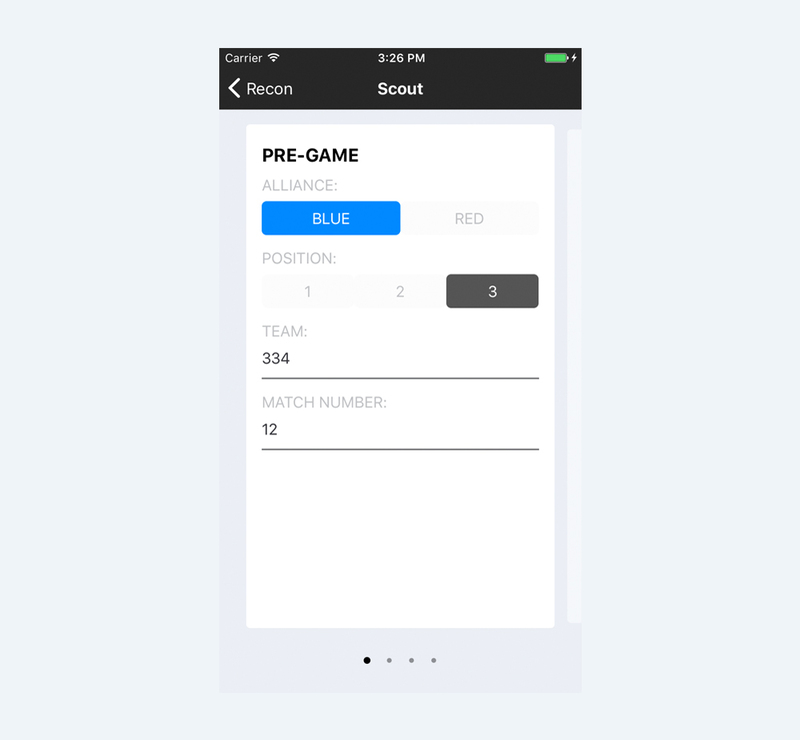 After users submit their match data, the app sends the data to the server over socket.io. The server, able to handle multiple simultaneous requests, then adds the match info to the mongodb database. Using the Google Sheets API, the server additionally sent this data to an online spreadsheet, which allowed team strategists and leaders to perform powerful analytics.